Choosing the right database platform for a human services organization is a critical decision. In our experience, Salesforce is an excellent choice for a wide range of human services organizations. Salesforce combines ease of use and ease of administration with powerful features to report and analyze data, manage security, and automate workflow. The Salesforce platform is powerful and flexible enough to centralize or integrate a nonprofit’s data management needs into a single system. This single system can remove data silos by tracking and managing programs, clients, outcomes, case notes, buildings, units, and funding sources all in one place. Salesforce includes point-and-click tools to allow nonprofit staff to configure their system without needing a consultant for every change. This includes self-service reporting for individual staff members to generate reports as needed. Nonprofit staff administrators can learn to handle a variety of tasks including modifying how data appears to staff (page layouts), adding fields, creating and customizing dashboards, and managing permissions and security. This enables nonprofits organizations to own and manage their own system over time. Salesforce boasts a robust and flexible security and sharing model that allows you to limit access or functionality within your organization. Some examples of this are limiting access to personally identifiable information (PII) and health data only to caseworkers. Only allowing program managers to override program enrollments or only allowing specific people to update program data. Salesforce excels at workflow automation. It’s easy to automate your common processes, such as a weekly summary of client enrollments, automatic notifications for lease incidents, automatic document generation, or sending a weekly summary of volunteer activities to your volunteer manager. Salesforce includes comprehensive reporting and analytics so your organization can quickly answer questions about your data: Which clients had critical incidents resolved this year? Which residents have volunteered the most in the community? Which parents are most engaged with after-school programs? Which clients are participating in a specific program? Which clients are participating in more than one program? Salesforce functionality can be extended with third-party tools. As a result, the Salesforce AppExchange is a thriving marketplace of tools to extend Salesforce’s functionality. These apps can save your organization from developing custom functionality and many are free or discounted for nonprofits. Available tools range from external database integrations to web-based forms for online program applications. There is also a wide selection of nonprofit specific applications, including apps used to track volunteers and manage affordable homeownership programs. Learn more about selecting applications from the AppExchange. The Nonprofit Success Pack is a free, open-source donor and constituent management app developed by Salesforce.org and the community. The Success Pack can be customized to track complicated relationships often found with clients of human services organizations. This can include biological family details, current, and past living situations, or current and past primary caregivers. For organizations that need donor management, the Nonprofit Success Pack includes customizations needed to cover many common nonprofit donor and grant management processes. 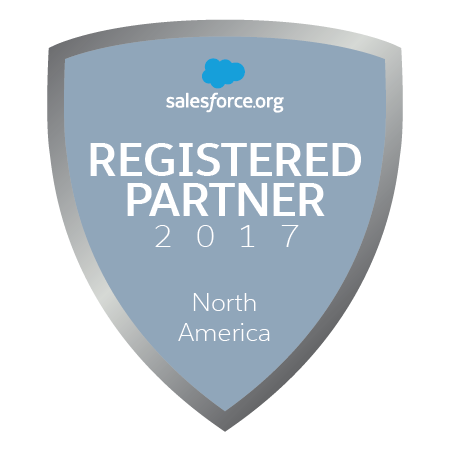 Salesforce.org generously provides license donations and discounts for qualified nonprofit organizations through their Power of Us program. 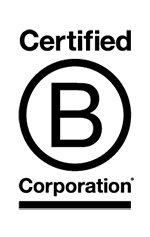 This program provides 10 free licenses to 501(c)3’s and registered Canadian charities. The program also provides deep discounts on additional licenses. Learn more about navigating Salesforce licensing. There is a strong and active community of more than 25,000 nonprofit and academic institutions using Salesforce. There is a thriving network of consulting firms dedicated to nonprofits and higher education. This community gathers on a supportive, private community called the Power of Us HUB to share successes and solve challenges together. A core of this group also comes together in person to improve the tools and documentation available to the Salesforce nonprofit community. Salesforce runs on their servers in the cloud so your IT staff doesn’t have to maintain your own servers. This lets your organization access your data from any computer or mobile device, anytime you want. If needed, you can put limits on this access. Salesforce also provides automatic upgrades three times per year as part of Salesforce’s regular release schedule, at no extra cost. Want to find out more about what it takes to implement Salesforce and set your organization up for success? Read our post on understanding what you are getting into with Salesforce and learn more about our work in human services and affordable housing.